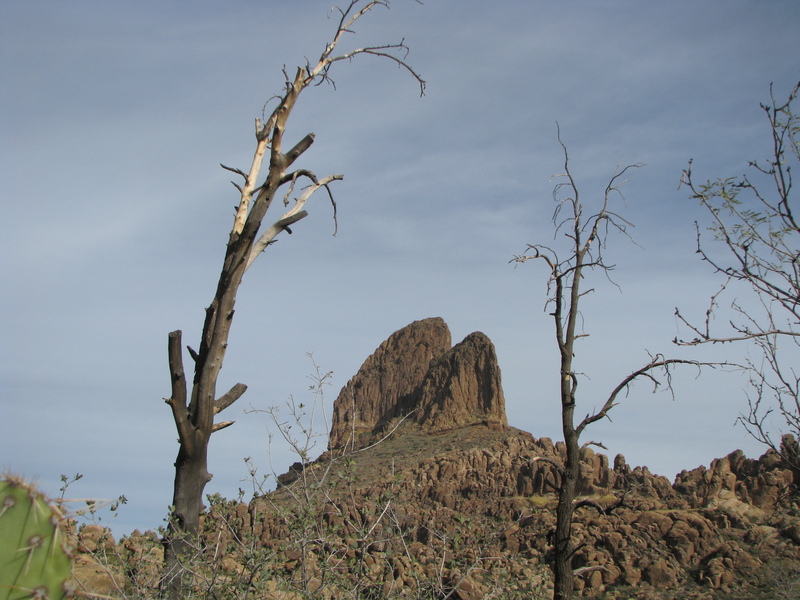 Friday (Jan 27th) we crossed the Superstition mountain range, from south to north, starting at the Peralta Canyon trailhead. 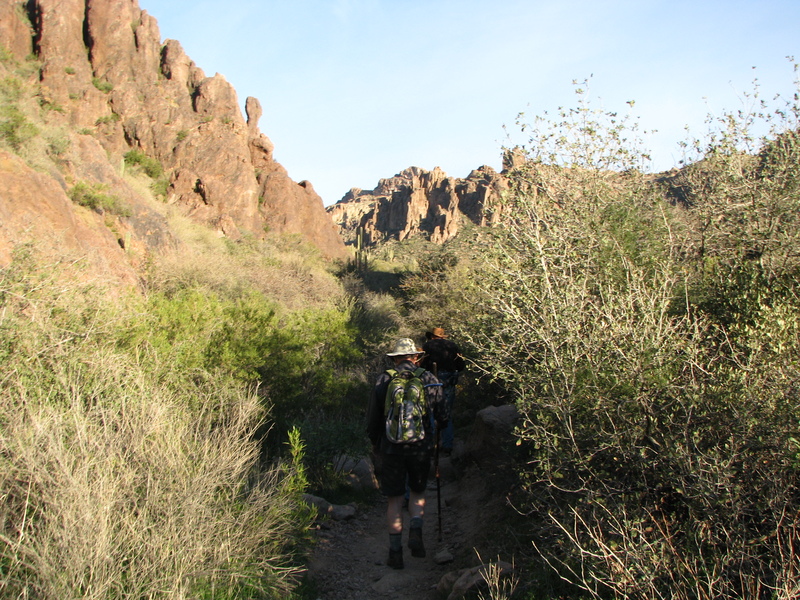 Took the trail up Peralta Canyon to the head of the canyon at Fremont Pass, then down into Boulder Canyon to the junction with Lost Dutchman trail in Boulder basin. 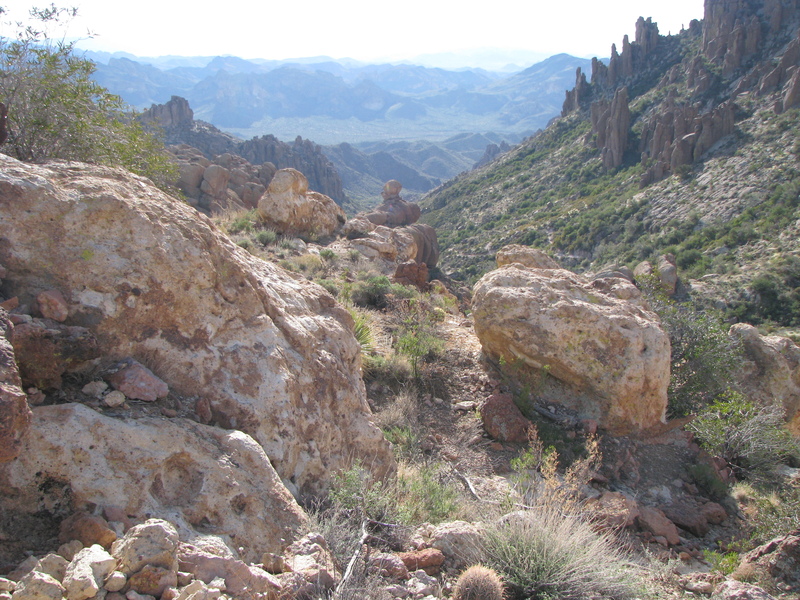 Crossed the basin on Lost Dutchman passing up over Parker Pass, then down into the First Water drainage, finally arriving at the First Water trailhead about 13 miles and 1,800 accumulated vertical feet later. Thankfully the day was mild, in the 60’s with a high thin overcast most of the way. Peralta Canyon is always a favorite. It makes you work, but the surroundings are beautiful. 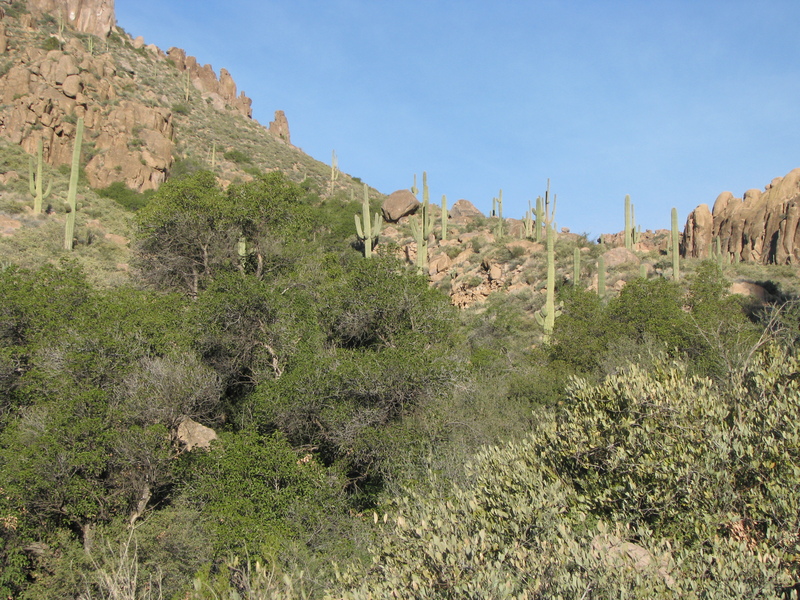 You start out in a shaded canyon, rich with vegetation. 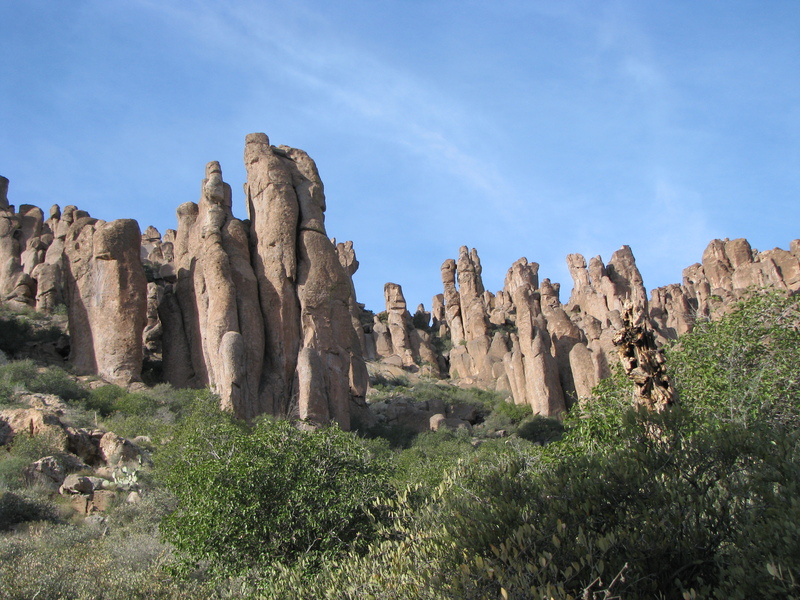 As you ascend toward the head of the canyon, the scene changes to stately hoodoos high on each side, guarding the approaches to Fremont pass. High on one of the hoodoos, a vigilant eye keeps watch on the trail below. I always like to look back from time to time, to see “where I’ve come from”. Here’s a view back down the trail, just before cresting Fremont Pass. 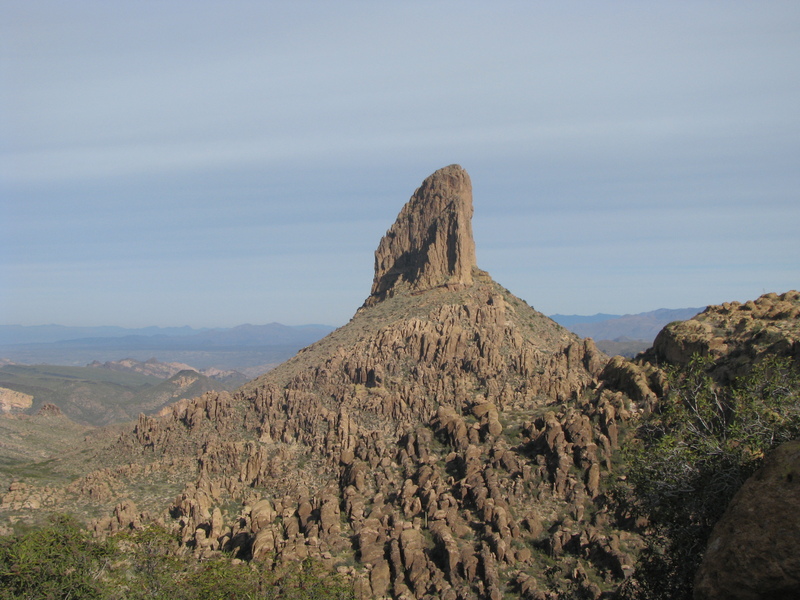 Cresting the pass, the first view of Weavers Needle never fails to be a “jaw dropper”! It rules Boulder Canyon, and I get teased everytime I stop to gawk and get “just one more picture”! Couldn’t resist this shot, taken further down canyon, of the needle framed by two burned trees. 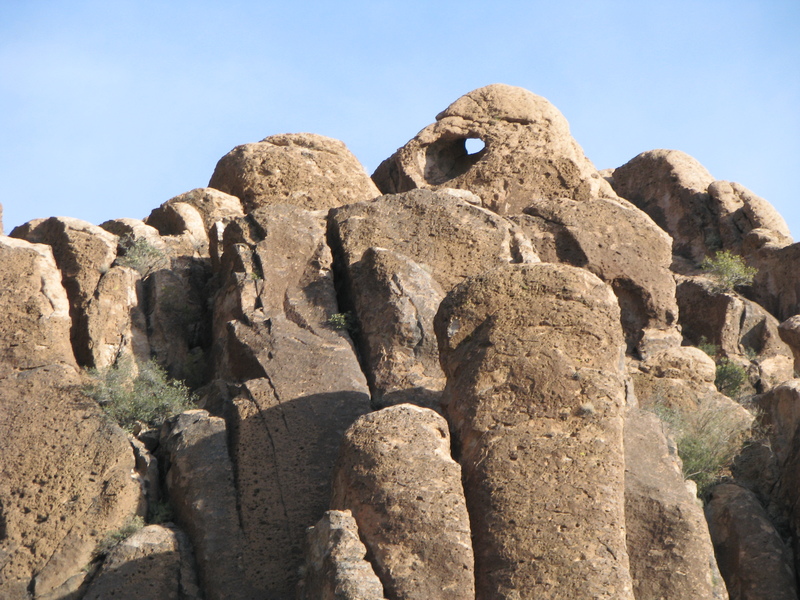 The rest of the hike is pretty routine (if the Superstition range is ever “routine”) except for this view of Aylors Arch, high on Palamino Mountain. Hope to see everyone soon. We are in Arkadelphia, AR. 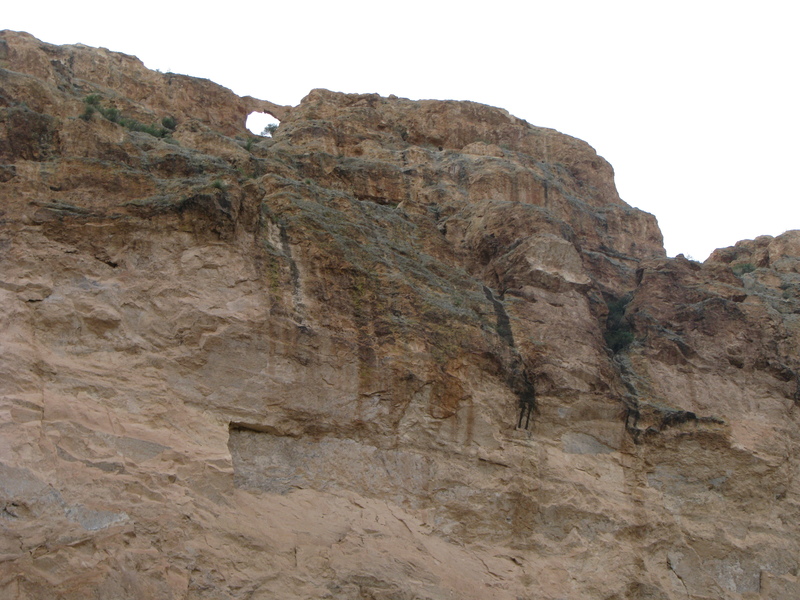 I did not know there was an arch on that trail, nor did I know there was an eye in the hoodoos. Thanks for great photos and informative commentary.